The Massachusetts Statewide Hurricane Sophia Exercise is Monday June 6th from 7-9 PM. Briefings were held at the MEMA Framingham State EOC and the MEMA Region II Headquarters in Bridgewater on May 14th and 16th respectively. ARES members and SKYWARN Spotters are urged to participate in this drill. The National Hurricane Center station, WX4NHC, will participate via VoIP (meaning Voice Over Internet through Echolink/IRLP). A document describing operations has been sent out to the various email lists and has been posted to this web site. The link on the web site is under the training section of the main menu. The document describes ARES, SKYWARN interaction in this drill and how the sealed envelope RACES scenario will get distributed over the air to inform participants on how the exercise scenario is unfolding. Please contact myself or your ARES EC/DEC with any questions on this exercise and we look forward to working with everyone on this very important drill for our section. The Genesis Amateur Radio Society conducted a Technician class at an area high school on May 14 & 21 that included a demonstration of ham radio and a volunteer exam session, according to Bob Allan, WF1M, Genesis ARS’ Public Information Officer. The club arranged with the school to reserve space for two class sessions on two consecutive Saturdays in May. “I felt this was a good arrangement, giving the students time to study and practice testing between and during the two sessions,” Williams added. In all, eight Genesis ARS members turned out to teach the course. Additionally, two members turned out for the demonstrations; four VEs were present for the testing. We need help for next weekend, June 4th. I need help for all of the weekends in May. I am also in need of someone near the ship that can volunteer to help with the CERT team aboard the ship. They need a volunteer for the statewide drill on June 6th. Please contact, ASAP. “Here are the particulars on the trip to the New England Wireless and Steam Museum next Saturday. We will be leaving from the shack at around noon time. It takes about 1 hour and 20 minutes to get there. I will be giving out directions from Mapquest. After our visit, we will be eating at a Gregg’s restaurant nearby. They offer a wide variety of items and the food quality is excellent (I’ve eaten at one before). Check out their menu at www.greggsusa.com. There is still time to sign up! You can also let me know at the [Framingham ARA] general meeting this coming Thursday. Edward G. Schwarm, 82, died Friday, May 20, 2005. He was the husband of Erla Z. Schwarm, deceased, for over 62 years. Mr. Schwarm was born and raised in Milwaukee, Wisconsin. He enrolled at the University of Wisconsin, Madison but his education was interrupted by World War II when he was called up from the Army Air Corp Enlisted Reserve Corp. 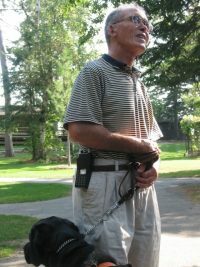 He and Erla married during his training (Hartford, Connecticut). He served as a second lieutenant and was the engineering officer for the 506 Squadron of the 44th Bomb Group, 2nd Air Division of the Eighth Army Air Corp in England troubleshooting for and supervising the 120-member crew maintaining and repairing B-24 bombers. He frequently filled in as co-pilot, looking for every opportunity to fly. After the war, he returned to the university to complete a Bachelor of Science degree in Electrical Engineering. In his career as an electronics engineer, he held 11 international patents in aviation and electronic power systems. He developed bomb site navigation systems for A.C. Spark Plug (Milwaukee, Wisconsin). At Link Aviation (Binghamton, New York) he was project manager and chief designer of the DC-8 flight simulator, one of the largest analog computers ever built and the supercomputer of its day. At the MIT Instrumentation Laboratory (Cambridge, Massachusetts) now called Draper Labs, he was the special projects manager for designing the inertial guidance system for the command module and the lunar landing module for the Apollo Space Program. He asked the question, “How would you get the astronauts back from space if the main rocket system failed?” He then completed the studies and design work needed to equip the lunar landing module with essential systems that later made the return of the Apollo 13 astronauts possible. Working for Arthur D. Little (Cambridge, Massachusetts) as an electronics consultant, he invented the static bypass design used in uninterruptible power system, the back-up power systems used by large computer data centers for no-fail businesses such as financial institutions, airlines, and telephone companies. He was also an expert in train electrification and conducted some of the first studies paving the way for high-speed trains from Boston to New York. In later years, he ran his own successful electronics consulting business, Edward G. Schwarm Associates, completing his final contract in 2004. An avid sailor, he built his first sailboat with his grandfather at age 10, he delivered sailboats from Maine to the Caribbean using celestial navigation with pinpoint accuracy, and continued single-handing his Bristol 32, Chimo, until his death. As a private pilot with a commercial license, he flew military jets, B-24s, gliders, and single prop planes and was particularly fond of aerobatics. He also enjoyed skiing with friends starting in college and ending with his last run at age 80. Alta and Zurmat were his favorites. He was an extra class ham radio operator, call letters NX1V, who enjoyed teaching others. A world traveler, he circumnavigated the world three times, traveling to all seven continents. His love of the ocean and voyaging with his wife led him to retrace the route of the HMS Bounty in the South Pacific, traverse the Bering Straights from Alaska to Russia, explore Antarctica and travel the length of the Amazon River (where he enjoyed an evening swim). As a 23-year resident of Acton, Massachusetts, he was active in the town government. He was also very committed to the First Congregational Church of Acton, serving as deacon and trustee among other roles. These were activities he continued while living in Marstons Mills, Massachusetts for the past 20 years. During a drought several years ago, he secured funding to upgrade a town herring run that conserves water in the lakes and helps preserve the fish. He worked with town members to buy the local airport in lieu of opening the land to developers. He faithfully cared for his wife, Erla, who struggled with Alzheimer’s, until her health failed. Surviving are two sons, Stephen C. Schwarm of Wrentham, Massachusetts and Thomas E. Schwarm of Freeport, Maine; a daughter, Claudia Gere of Shutesbury, Massachusetts; five grandsons, a great-granddaughter, two nieces and three nephews. A memorial service will be held at 1 p.m., Wednesday, June 1 at Federated Church of Hyannis, 320 Main Street, Hyannis. In lieu of flowers, donations may be made to the Edward and Erla Schwarm Family Fund at the Woods Hole Oceanographic Institution (WHOI), Mail Stop #39, Woods Hole, MA 02543-1050. This endowment fund starts a new program that provides graduate students in their first year of studying oceanography the opportunity to work at sea aboard the research vessel Tioga. 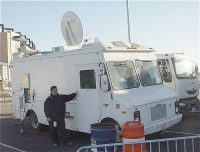 WCVB Channel 5 is donating a retired electronic news gathering (ENG) vehicle to a good home. According to Rich Zach, K1RJZ, WCVB-TV Chief Engineer, the vehicle, named “Hippo-1” is to be donated to a worthy non-profit organization. It was built by Wolf Coach of Auburn, MA. Hippo-1 has been replaced by a newer ENG vehicle, dubbed “Hippo-2”. Interested parties may view photos of the vehicle by visiting http://216.235.250.154/hippo/. Additional technical information may be obtained by contacting Rich Zach at 781-433-4774. Applications are being accepted for persons with disabilities who wish to attend the Courage Center Handiham Radio Camp in Lake George, Minnesota, from August 23 through 30, 2005. Camperships to help with tuition are available for first-time campers working on their first license. For more information, or to obtain an application, contact Courage Center Handiham at 1-866-426-3442 email hamradio@courage.org or visit http://www.handiham.org. Wired News on the web features an article on May 25, 2005 by Mark Baard entitled “Hamming It Up at Radio Meets” showcasing the Harvard Wireless Club and MIT Radio Society, and the “Flea at MIT.” The article features a number of related photos. It also plugs Amateur Radio public service, and the Dayton Hamvention®. Prior to its publication, Baard spent time with the respective clubs and their members in researching the story. A Boston-area resident, Baard has covered computers and technology for such publicationas as Wired News, Information Security magazine, The Boston Globe, The Village Voice, and The Times of London. Baard is an Adjunct Professor of Journalism at Emmanuel College. The USS Salem Radio Club (K1USN) will operate on the air to celebrate National Military Appreciation Month on Saturday, May 28, 2005 from 1100 UTC to 2200 UTC. DX stations may QSL via the W1 Bureau; stateside QSL is via K1USN at the QRZ.com or callbook address. Stations are requested to use a self-addressed, stamped envelope. For further information, contact Pi, K1RV, at k1rv@arrl.net. While sometimes pictured by BPL proponents as opposing all BPL implementation, the ARRL has always maintained that radio amateur “hams” are not interested in blocking new technology but are justifiably concerned about pollution of the radio spectrum. Significant interference has been documented at numerous sites where other BPL systems are being tested, and other BPL developers have been unwilling to share information about their systems. By contrast, Motorola invited ARRL’s suggestions and welcomed its input during product development. There are approximately 670,000 Amateur Radio operators in the United States. Many other countries are watching events unfold in the US as they plan their own BPL systems. There are approximately 2.5 million Amateur Radio operators around the world. If the new Motorola system lives up to its initial promise in actual deployment, this new “shortwave-friendly” system will have many advocates. 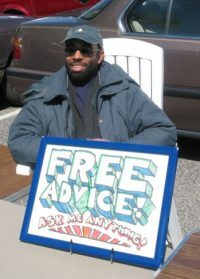 Information about Amateur Radio is available from the ARRL, the national association for Amateur Radio, 225 Main Street Newington, CT 06111 or by calling 1-800-32-NEW HAM. The URL for ARRL’s home page is www.arrl.org. NOAA’s “All Hazards” radio transmitters were off the air for about twenty hours this weekend. According to a bulletin issued at 10 PM Saturday, May 21 from the National Weather Service office in Taunton: “The computer system that runs NOAA all hazards radio from the Taunton forecast office has failed.” The outage also affected the office’s automated phone recordings. The bulletin indicated that parts “have been ordered”; it predicted that the transmitters might not be operational until Sunday night or Monday. A subsequent bulletin issued at 6 PM on Sunday, May 22 announced that service had been restored. The Taunton office operates seven different transmitters throughout New England disseminating weather and hazard information to the general public. The weather cleared just in time for the start of the 5K race which didn’t seem to dampen the spirts of the 1400+ runners in this years event. Officials involed in the race expressed deep appreciation for the vital communications provided by the hams. Congradulations and Thank You Stan KD1LE and Ralph KD1SM and all who participated from NVARC and the other organizations. There is a new CERT (Community Emergency Response Team) class starting June 2nd in Lowell. Additional information can be obtained on the http://www.merrimackvalleycert.org website. Use the Training Application Form (in PDF format) located on this site to apply. More information on CERT can be obtained from links on the above website or by navigating to the http://www.citizencorps.gov/programs/cert.shtm website directly. WBZ-TV Channel 4 recently aired a story on its 4:00 p.m. newscast about SKYWARN on May 11, 2005. The story featured North Shore Radio Association member and Assistant SKYWARN Coordinator Jim Palmer, KB1KQW. Keith Lamonica, W7DXX, reports that the YI9DXX gateway in Baghdad, Iraq is hooked up and almost ready to go. Lamonica says that as soon as port problem is solved he will allow access to a few control operators for testing. A Fall River amateur is seeking other hams with mutual interests in QRP, QRPp, home brewing/kit building, and portable- and mobile operation. 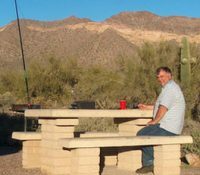 “With the better QRP rigs and kits out there, there seems to be a lot more hams getting into this area,” writes Ed Duclos, WA1ZCB. Duclos has built a Norcal keyer, Norcal BLT tuner, DSW II-40, Rock Mite (20, 40 and 80 meters) and a Elecraft KX1. “If you have not tried QRPing and kit building, you are missing out on a lot of fun. Better look into it,” adds Duclos. 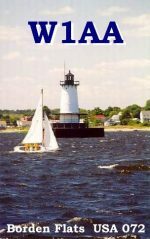 W1AA will be operational from the Borden Flats Lighthouse in Fall River, Massachusetts on May 14, 2005 from 1100 to 1800 UTC, according to Bob “Whitey” Doherty, K1VV. He and N1DT will operate on SSB on  7270.0 and 14270.0 kHz plus/minus QRM and any nets. CW operation will occur on the half hour on 14035.0 and 7035.0 kHz, plus/minus. DX stations may QSL to W1AA via the bureau; stateside should QSL via W1AA to the callbook address with a regular size self-addressed, stamped envelope. QSLs will be returned within two days. For additional information on lighthouse DXpeditions/activations, visit the Amateur Radio Lighthouse Society at http://www.arlhs.com. 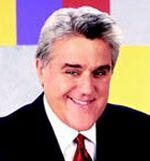 The e-mail lists are buzzing with news about a message sending/receiving contest between a cell phone text messaging team and a Morse code team to be performed on the Tonight Show May 13 on NBC. The Morse code team will consist of well-known contesters/DXers Chip Margelli, K7JA, and Ken Miller, K6CTW. The “props manager” for the show is KF6OCP.